Auntie: Hackney Gospels is a fresh new comedy, starring the pious Auntie, written by and starring Gavino do Vino, Aces and Eights, 8-14 August at 6.30pm. Dame Edna meets Nollywood meets Hyacinth Bouquet via the fictional pan-African nation of Kengeria, a portmanteau of the two African states with which the Western world tars the whole continent. Auntie vocalises her disdain for tracksuits and chicken shops, far from her ‘Ey! Ey!’ (Kengerian Hello!) glossy mag dreams of sipping champagne in Buckingham Palace. Mtoto, her gay, mixed-race son throws razor-sharp shade, exposing her bigoted and hypocritical views with a ferocity that rivals the drag queens of Ru Paul’s Drag Race. Based in Hackney, the play explores issues such as internalised oppression, the immigrant experience, post-colonialism, gentrification, clashes of cultures and of course, worshipping the glory of God! 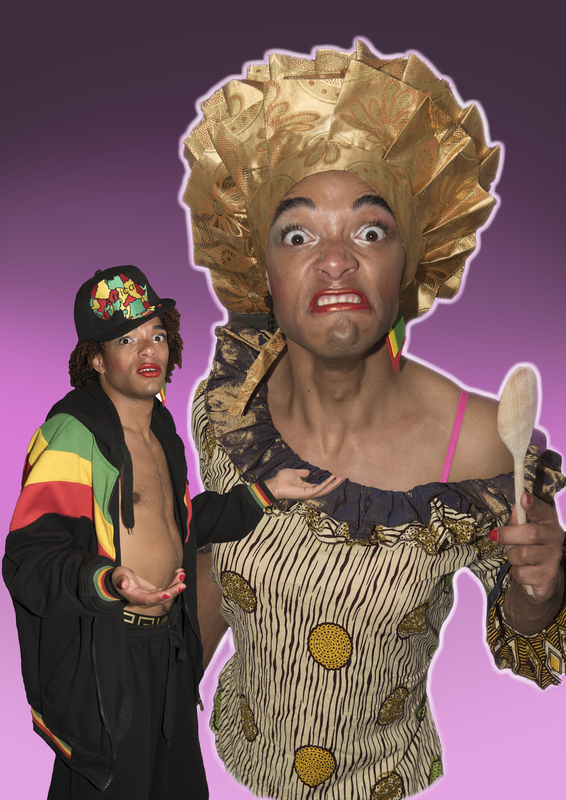 Gavino said: “It is a comedy exploring the African immigrant experience. A lot of the dialogue is direct quotes from my mother, or my auntie, or my grandma, or my friends have said. Also it’s people I know who have Jewish mothers and Indian mothers. In so many of these different communities you have to address an older woman as auntie as a sign of respect. “But what they have in common is that they can be overbearing. The main storyline in my play is ‘Why doesn’t my son have a wife? Why is he a gay boy? Why is he bothering with all these bottoms?’ And the son is rebelling against that. His name is Mtoto, which means baby where my family is from in Kenya. Barack Obama is from the same tribe as me. 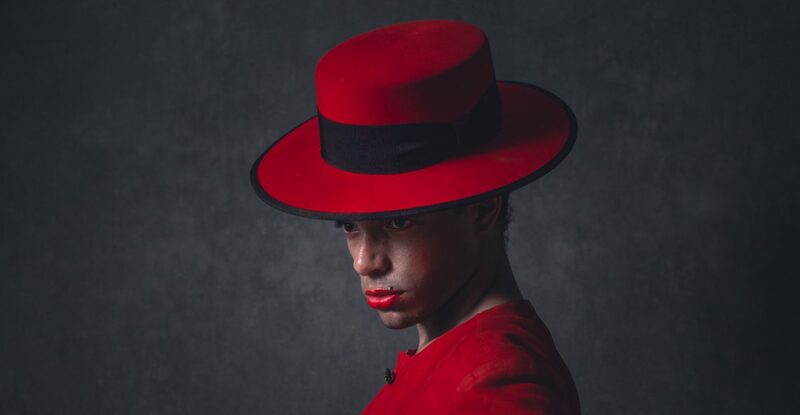 He added: “The character, Auntie, first reared her judgemental head last summer, when I was selling tickets in a gele to wide-eyed partygoers at Glastonbury’s NYC Downlow. “Before letting them in, I’d challenge them to say the Lord’s Prayer, interrogating them on the level of their piety. To hilarious effect, the characterisation came from a love of terribly produced Nollywood movies, the terrifying experience of being disciplined by my Kenyan mother and auntie and a hell-raising 75-year-old gossip I met on Dalston Lane, Auntie Julie, who evoked the true ‘EastEnders’ East End. “The play is my personal autobiographical therapy, a comedic middle finger to the racism and self-hatred I experienced in Birkenhead and Wigan, far from swinging London. Gavino has performed at Glastonbury’s Block 9, Leicester Square Theatre, The Roundhouse, Soho House, You Me Bum Bum Train, The Kazimier, Camp and Furness, East Bloc, Aces and Eights, Ziferblat, The Royal Vauxhall Tavern and The Paradise. He will also be at Edinburgh Fringe, as part of the Electric Circus variety nights (venue 98a). Find out more about Gavino, who speaks six languages, studies Russian and Spanish at UCL, and blogs about his poetry, dramatic sense of style, love for fashion, the arts, history and philosophy, on www.gavinodivino.com. For more details on Auntie:Hackney Gospels at Aces and Eights, 8-14 August at 6.30pm, visit www.camdenfringe.com.